Popular journalist and critic Rajeev Masand holds this annual roundtable, featuring his choices of best actors, actresses and directors of that year. This year, for the best actresses roundtable, he brought in Rani Mukerji (Hichki), Tabu (AndhaDhun), Deepika Padukone (Padmaavat), Anushka Sharma (Pari, Sui Dhaaga and Zero), Alia Bhatt (Raazi) and Taapsee Pannu (Mulk/Manmarziyaan). Considering this year was about the surging rise of the women empowering #MeToo movement in India, the topic was, of course, expected to be discussed. Deepika Padukone in Padmaavat, Alia Bhatt in Raazi, Rani Mukerji in Hichki - Celebrating 15 Best Performances By An Actress in a Leading Role in 2018. But little did anyone know that it would create such a huge controversy on social media, thanks to Rani Mukerji's strange views on empowering women. In the below video, you can see her talking about how every woman should be trained in self-defence, and that the mothers are expected to keep a tab on their predatory son (a sentiment also resonated in the recently released Simmba). She even shifts some of the blame to the women by saying, "Women should change before asking other people to change. They need to be strong enough to end things then and there." #MeToo Movement: I'm Concerned About Country's Anger, Says Sonu Nigam. When Deepika, Anushka and Alia tried to argue otherwise, she even cuts in their statements to press on her defence. Naturally, Rani gets slammed by many on Twitter for being so far from reality, talking from a privileged pedestal. Even the official Twitter handle of #MeToo campaign trolled her for her comments. Wow! 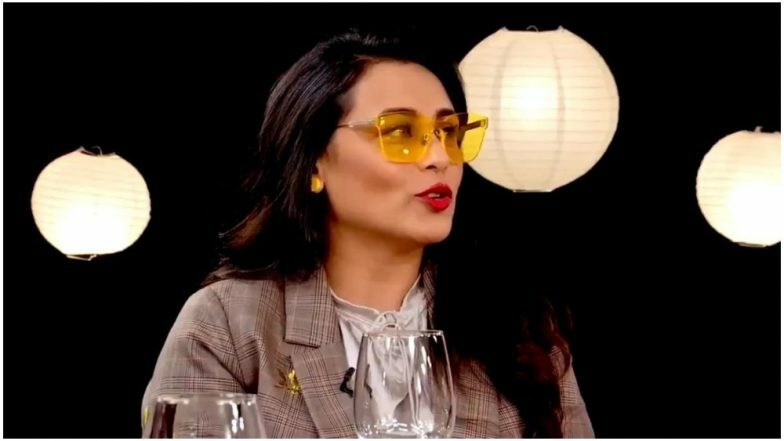 #RaniMukerji is like the biggest ever disappoinment on actresses roundtable! On #MeToo, she says, "Women should change before asking other people to change. They need to be strong enough to end things then and there." So pissed. Deepika & Anushka give her befitting replies. To think that #RaniMukerji in her debut film 'Raja Ki Aayegi Baarat' — in which her character Mala gets raped by a wealthy brat because she hurt his fragile ego — was blaming Mala throughout for not knowing Krav Maga. Time ruins everything man. Her comments on the #MeToo movement were both regressive and just below the belt. Rani just lost a fan!! Dear Rani, while your views may not be exactly incorrect, you forgot one big truth about the whole idea - The predators are to be blamed first and foremost. And you really didn't say much about that!